I've been jonesin' for some banana bread lately. As luck would have it my mama had a whole bunch of brown bananas sitting on her counter that she was getting ready to toss. Sweeping in to save them in my Apron Cape I gathered them up and took them home. I had pineapple and coconut on the brain due to my indulgence this summer of piña coladas while pool side. I put the three together and voilà Vegan Pineapple Coconut Banana Bread was born! My first attempt at Vegan Banana Bread was a failure due to the honey. Did you know honey is not considered vegan? Why you ask? "Veganism is a way of living which excludes all forms of exploitation of, and cruelty to, the animal kingdom, and includes a reverence for life. It applies to the practice of living on the products of the plant kingdom to the exclusion of flesh, fish, fowl, eggs, honey, animal milk and its derivatives, and encourages the use of alternatives for all commodities derived wholly or in part from animals." While I am no longer vegan due to the lure of bacon (did you know bacon is the gateway meat for a vegan?) I am all over this banana bread! If you decide to make this banana bread you will smell the sweet sweet smell of vegan success and of course delicious banana bread! 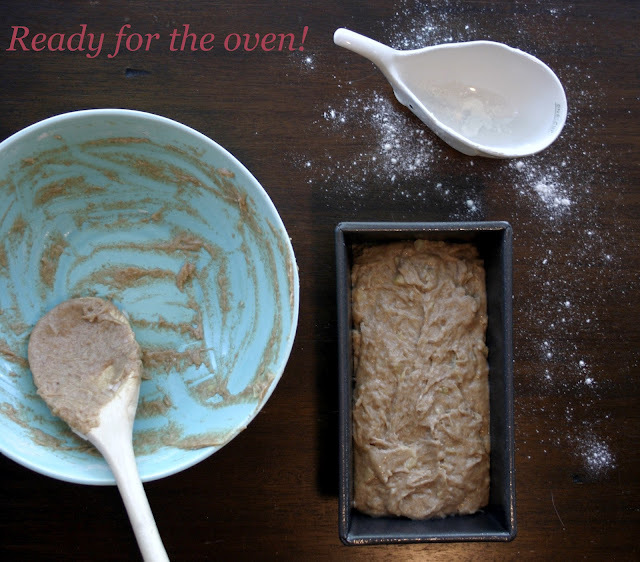 Preheat the oven to 350 degrees F. Lightly grease and flour a 9 x 5-inch loaf pan. 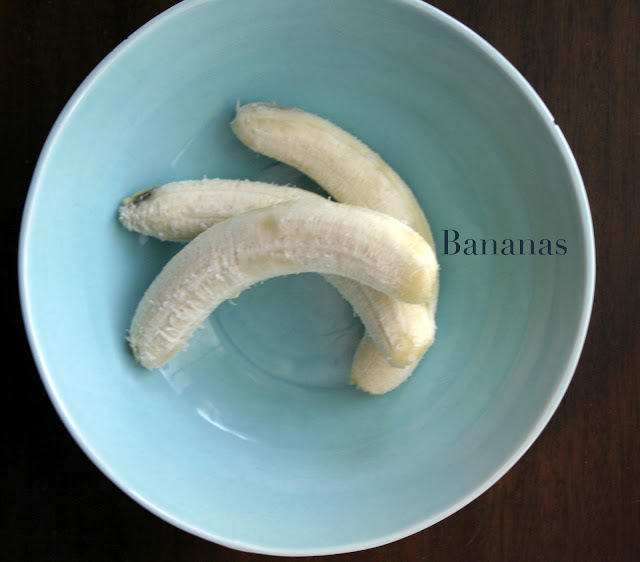 In a large mixing bowl, mash the bananas really well. Add the sugar, pineapple, and oil and whisk briskly to incorporate. Sift in the flour, baking soda, spices, and salt. Use a wooden spoon to mix until the wet and dry ingredients are just combined. Fold in the coconut. Transfer the batter to the prepared pan and sprinkle with extra sugar if you’d like. Bake for 45 to 50 minutes. The top should be lightly browned and a knife inserted through the center should come out clean. Remove from the oven and let cool for 20 minutes before transferring out of a pan and onto a wire rack to cool completely. Now I want to make this! Damn you!!! My plan to take over the world with banana bread seems to be working! Bwahahaha! Dee this looks lovely. I love banana bread and the pineapple sounds fantastic! Thanks Donna! I really think the pineapple is what made this banana bread so moist. I have not made a Vegan banana bread before, and I do love me some banana bread so I am excited about this recipe. Thank you for sharing your talents with us so we can eat it too! I hope you try it! You are going to love it! Yum! Vegan or not, this sounds wonderful! Man. I hadn't thought about the whole honey/vegan thing. You learn something new everyday. Now, I stuff my face with non-vegan things day in and day out, but that's not to say I wouldn't stuff my face with their banana bread given the chance. Yowza! It looks a.maze.ing. I knew about the honey but a few people I know don't give a toss about the honey issue because bees make heaps more than they could ever use and they aren't harmed. I don't know anything about it to be honest. I'm not a vegan. This bread looks gorgeous but I'm in love with the elephant! I'm in love with the elephant too! He's not very accurate but he sure is cute! Wow! I am blown away by the simplicity and ease of this amazing banana bread! all natural, good-for-you ingredients really pack a punch, don't they? I'll have to try baking my next banana bread concoction with coconut oil! I'm having some fun playing with the coconut oil in recipes for baking and cooking. I hope you try this. It was super easy! I can smell this bread! I can't believe it's vegan. It looks delicious! Where did you get the gorgeous elephant jug from?